Spiritoons! 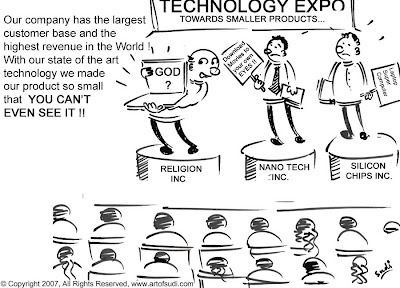 - World's First 'Non-Serious' Spiritual Cartoon Blog: Sudi Narayan's Spiritoon - Religion Inc! ha ha ha - like the Emperor's new clothes!!! Thanks for your comment Sanjay! Yeah, it is like the Emporer's story. So much Gold and silk for an invisible product!! You identify, people always manufacture comments when anything is predicted to take place in 2012, like “obviously that is if the faction is still here.” You do realize that the Mayans prognosticate the creation will finish on Dec. 21 (or 23rd)? So in all distinct possibility if anything is booming to encounter in 2012 there is only the slimmest conceivability that the world hand down have ended before it happens.